Although the snow is piling on my ledge and I’m feeling fretful about the cold that is seeping in my bones, I’m thinking of hot sunny beaches and my toes curling in the white sands. Palm trees, endless blue skies, umbrellas floating in lethal cerulean cocktails, those kinds of things. And I find myself thinking if I had more money than sense, where would I head to? St Tropez? St Barts? Well that’s just a few of the places that we’ll explore amongst others that are surely going to be visited by the rich and the famous this year. The prominent figure of French cinema, Brigitte Bardot, pinned this beauty of a town firmly on the map in the 50s and since then this place is crawling with famous people. In fact, Le Figaro, stated that St. Tropez has “the greatest number of famous faces per square meter”. Apart from that, Paris’ whole artistic movement like Picasso and Sartre disembarked on these shores during their time. Today you’d find the likes of Christiano Ronaldo, Naomi Watts, Elton John and Zac Efron stepping gingerly off their 46-crew superyatchs, suntanning on the pristine beaches, or sipping a cafe in the bistros lining the sea front. From attending soirees at clubs like Les Caves du Roy to the walk around the surroundings to get a view of the breathtaking Maures mountains, St Tropez is going to be a firm favourite for the a, and b listers for years to come. Seemingly tucked away and paparazzi free, this island of pink sands in the Bahamas is a little piece of paradise on earth. You’ll find Mick Jagger and Lenny Kravitz strolling in casually at music bars and churches, Bill Gates cooking a barbecue behind the gates of his private residence, India Hicks’ blond haired progeny chasing a golden retriever with a stick, Elle McPherson taking off her sarong to show off The Body..I could go on. Sea planes or boats are the only way to travel to the beach that has recurrently topped the best beach list in every travel magazine. 18th century houses huddle inland in swathes of pastel colours and golf carts not cars travel the little roads. Privately owned by Sir Richard Branson, this landmass rising from turquoise blue seas, can be yours for £39,000 a night. The glitterati come here in spades from Kate Winslet and Steven Spielberg to Oprah Winfrey and Harrison Ford. In fact Kate Winslet in a heroic stunt saved Branson’s mother from the burning Great House that was struck by a lightning in 2011. The House has since then gone through a £9 million restoration and in 2014 was home to Kate Moss’s splendid 40th birthday celebrations. With picturesque villages clinging to its precarious cliffs, the stunning Amalfi Coast is dubbed by UNESCO as the perfect example of a Mediterranean landscape. Kim Kardashian was jetted off to these ends by her first husband NBA’s Kris Humphries for their mini moon and Brad Pitt and Angelina Jolie are rumoured to have started their clandestine affair here back in 2005. Easily Europe’s most romantic destination, the infinite blue horizons, the red tiled roof houses, the carafes of finest Italian wines have charmed many other a-list couples like Victoria and David Beckham, Jim Toth and Reece Witherspoon, chef Jamie Oliver and wife Jools, into consummating their love for each other. Amalfi Coast is my favourite destination on this list, and even though notoriously expensive, it could be done on a budget, well only just. The 50th American state is a 17 hour flight from Britain and its population is the most isolated on Earth. This is probably why celebrities such as Chris Martin, Rosie Huntington-Whitley, Gwyneth Paltrow, Charlize Theron and Jason Stratham flock there in throngs. Activities include whale and celebrity watching, yoga and sunbathing. It’s no wonder that Elizabeth Hurley married business tycoon Arun Nayar in Udaipur and Katy Perry married Russell Brand outside the Ranthambore tiger reserve. Rajasthan has Jaipur the pink city of India, countless forts and palaces, top palace hotels in the world, deserts, and the rich Indian heritage. Recently it has been flocked by other well-known famed individuals such as Nicole Kidman, Brad Pitt, Angelina Jolie, Madonna, Julia Roberts and Mick Jagger. Riding a camel across the sand-dunes of Thar desert and then retiring to the glamours interiors of 5-star tents for the night, is surely one for the bucket list. 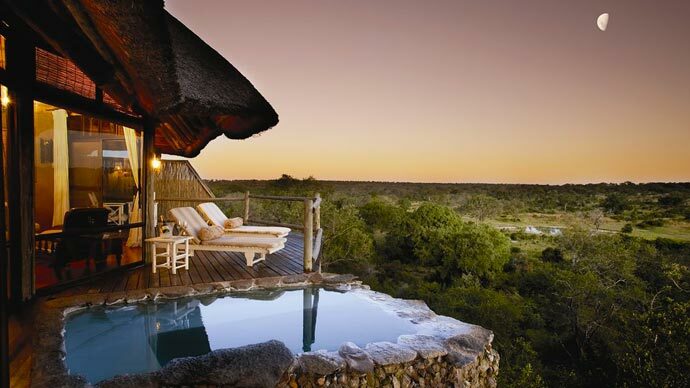 A South African safari is another one for the bucket list. But if you want to absorb the sights through your Gucci sunglasses while sipping a flute of a vintage Cristal, head to Sabi Sands. The best leopard spotting place in the world, this safari park has an array of luxurious accommodations, offering first class service and cuisine. Along with leopards, you may even be able to feast your eyes on the likes of Mischa Barton, Kate Moss, Justin Bieber and Chelsea Clinton. Not just regular celebrities, the type of celebrities that you find here are probably the most beautiful and the most genetically gifted in the world- Victoria Secret Angels. One would find Adriana Lima floating in the sea, Alessandro Ambrosio sipping a pina colada, Behati Prinsloo fanning herself on the beach and Candice Swanepeol rubbing oil on her endless legs. Of course you have your regulars such as Harrison Ford, Beyonce, Liz Claiborne, but the residents of this stunning island are so oblivious to them, that they wouldn’t even bat an eyelid when they walk through the door.